The Uber driver was injured in the attack Sunday night when his vehicle was blocked by another car with four attackers, said Nairobi police chief Japhet Koome, who promised tough police action against the violence. Police have received complaints from Uber drivers of harassment by taxi operators but the burning of an Uber car signifies an escalation, said Koome. The incident occurred even as government's interior ministry and director of competition are mediating the trade conflict between the rival groups, he said. "Let me make it very clear that any person engaged in acts of lawlessness will be dealt with sternly in accordance with the law. We have an established mechanism of resolving disputes, and lawlessness is not one of them," Internal Security Principal Secretary Karanja Kibicho warned a week ago after meeting with taxi and Uber representatives. 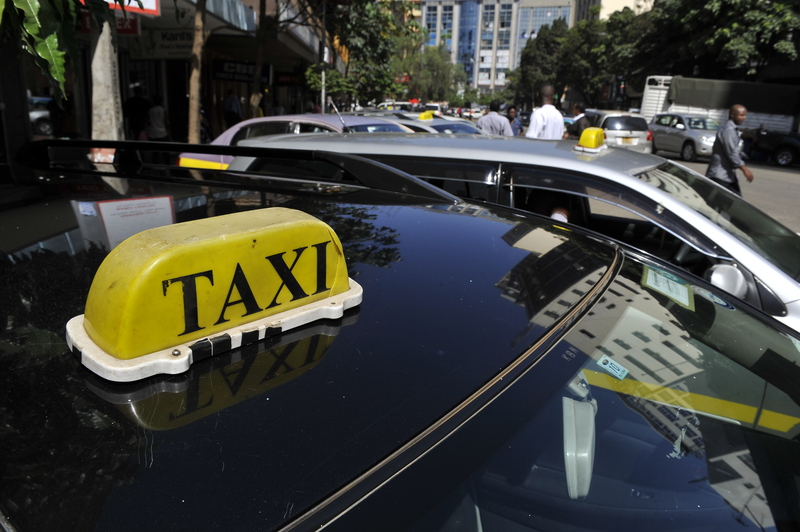 Taxi operators in Kenya earlier this month asked the government to stop the operations of Uber, which has become popular because of its cheaper fares. "We are working with all relevant stakeholders in Nairobi and Kenya to resolve this as a matter of urgency. We hope tourists, business travelers and residents alike can enjoy a safe, affordable, hassle-free time travelling however they choose to get around Nairobi," Uber said in a statement last week.